Radio reaches an impressive 94% of all consumers every week. Radio travels with consumers throughout their day, at home, at work and in their car and is the medium closest to the point of purchase. The real-world effectiveness of Radio advertising is the medium’s power to reach and influence specific target consumers by playing an integral role in their lifestyle. Recent studies reveal the significance of the psychological and emotional connection listeners have with their favorite Radio station, program, or host and how to transfer that deep relationship to maximize the impact of the advertising message. The real power of radio is long-term memory, or “Top of Mind Awareness.” Smart advertisers are those who set out to win the customer’s heart long before they need their product. Their only goal is to be the company the customer thinks of first and feels the best about whenever their need arises. 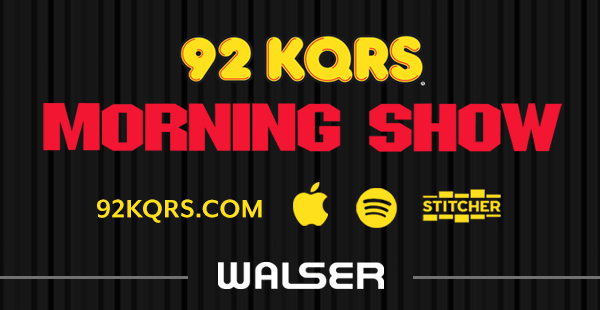 If you are interested in advertising with 92 KQRS, please fill out the form below and we will contact you as soon as possible!